The UK is the fourth largest advertising market – behind Japan, China, and the Unites States – spending $24.16 billion in 2016. In 2005, the Guardian conducted a study using technology called Eye Contact, and found that a London Commuter would see or hear more than 130 adverts in one 45-minute journey. Only half of the information would make any kind of impact on them. Ten years later, in 2015, marketing experts now estimate that people in countries such as the UK and the US, are experiencing anything in between 4,000-10,000 advertisements every single day (have a think – how many ads have you already seen today?) A market considered to be saturated somehow manages to squeeze in more and more messaging and our experiences are becoming underpinned by advertising. However, like the Guardian found in 2005, we are becoming extremely adept at switching off, and ignoring the adverts that are plastered here, there, and everywhere. The Great British Bake Off now has a (controversial) ad break – which is a more than welcome addition to me, because it means I can grab a cuppa and slice of cake before they judge the Showstopper. Equally, when I sit on the tube, I rarely look up for long enough to see an advert – partly because I don’t want to catch the eye of the person sitting opposite me, but also, because I just don’t care. Yes, there are more adverts, but on the whole consumers are not tuning in. These days, to really catch the eye (and more importantly make a lasting impact), adverts have to fully connect with their target audience – and the best way to do this is by taking the time to understand your audience, and their lives. To engage with people in an era of ad saturation and customer ad-avoidance, brands have to get smarter. 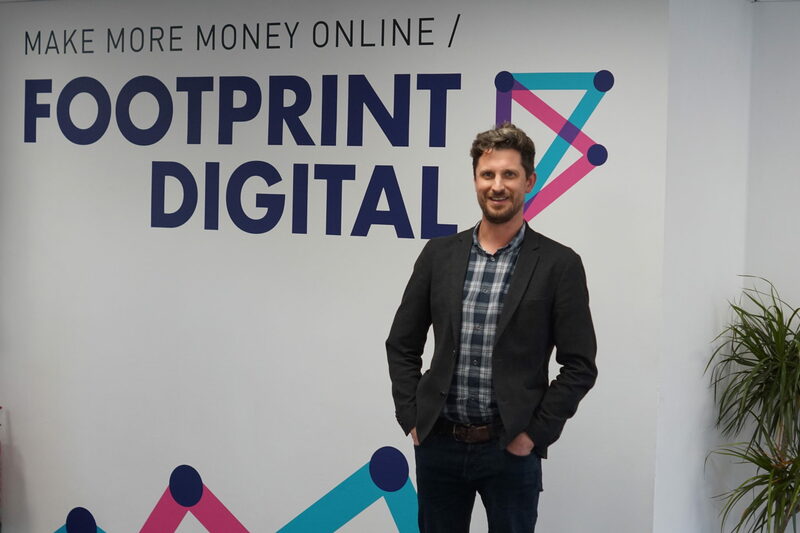 On Friday 20th October, Bruce, the Creative Director at Mackman, presented a Think with Footprint talk that delved deeper into the idea of advertising and connection with an audience at specific points in their customer journey. 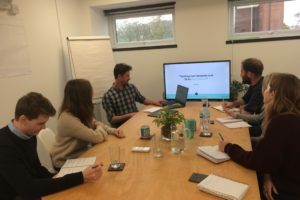 At Mackman, they use a process they’ve called Customer Journey Mapping (CJM) because understanding customer journeys is vital to understanding how and when to target different people. Bruce explained that this process helps to identify when a customer interacts with a brand or a service, and how they’re feeling and thinking at the time. They are useful because by thinking about how and when customers interact with your brand, you can give yourself a competitive advantage, and potentially increase your revenue. The secret to creating engaging adverts is easy – understand your audience. The hard part is actually knowing where to start, and what data you should be looking at in order to create something that people will take to. That’s where Mackman can help. Take a Step Back – be objective about your business and look at it from different perspectives. Understand Why – organisations often know when something is going wrong – but not why. Think about the why and try to remedy it. Avoid Stereotypes – Remember that whilst your customers may have some shared characteristics – they are all different! Don’t generalise too much. Split up the Journey – a journey is never simple – think about the different parts of a journey that a customer might take to reach you – where can you target them along the way? Be Driven by Insight – Listen to what customers actually say and do (even if it’s negative) rather than forming a journey based on what you think customers do – the differences in reality and your opinion might surprise you. Think About Complications – Once you’ve thought about the typical customer journey, think about the obstacles that could be blocking a person from interacting with your brand or buying from you. Get Emotional – Empathise with your customers! Think about how they are feeling at each stage of the journey. CJM involves an awful lot more than the above – it’s a process that fully maps out your customers’ interactions with your brand and pinpoints opportunities for you to create positive relationships with them. If you’re interested in Customer Journey Mapping for your brand or service, then get in touch with Mackman, they are brand building marketing experts who’ll get you thinking about your audience in new, exciting, and creative ways!